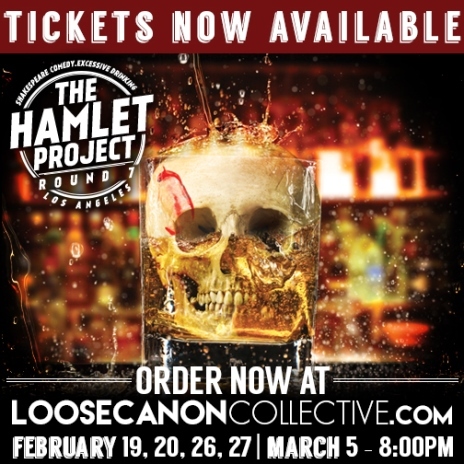 After a two-year absence, Loose Canon Collective’s The Hamlet Project is returning to Los Angeles for an extended run at the legendary Park Plaza Hotel. Since the debut of The Hamlet Project in 2011, the show has been mounted fourteen different times in three different cities and has received a great deal of attention. All shows begin promptly at 8:00 pm but you can come any time after 7:00 pm to enjoy some pre-show entertainment. What is The Hamlet Project? Check out the trailer below!